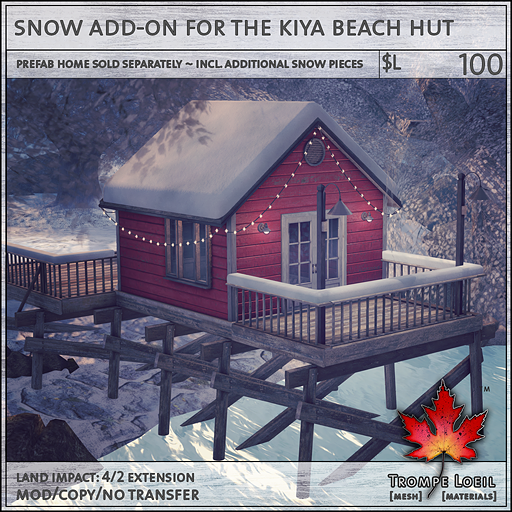 Its time for a winter wonderland! 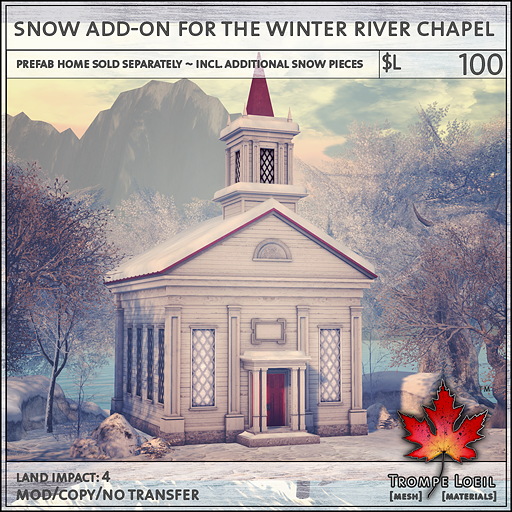 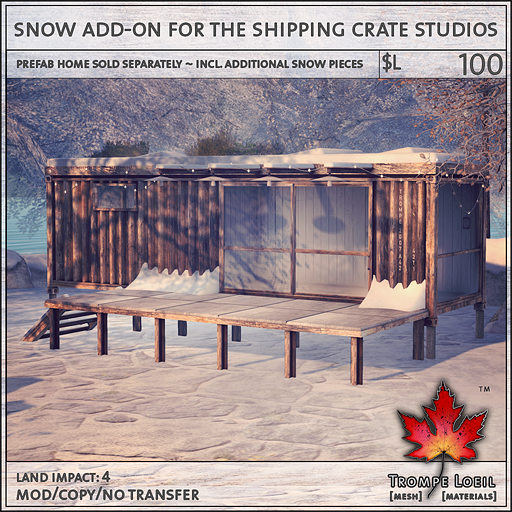 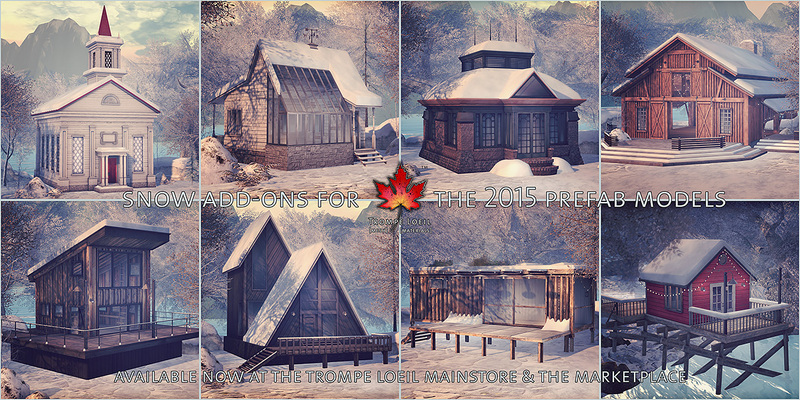 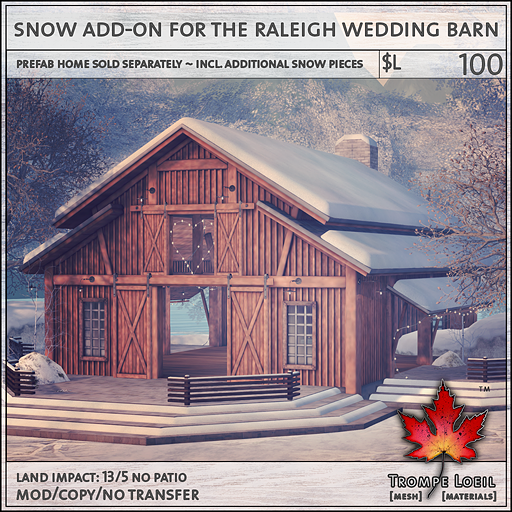 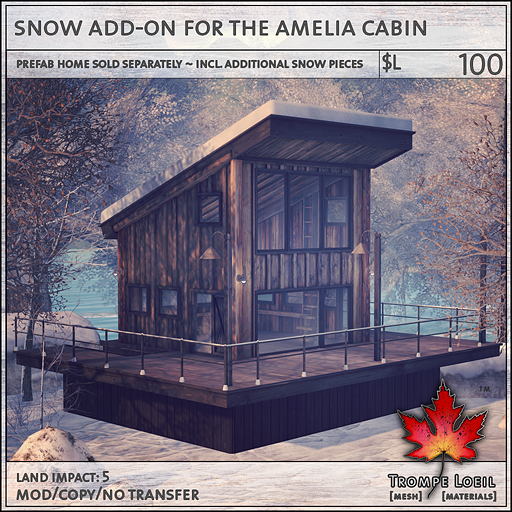 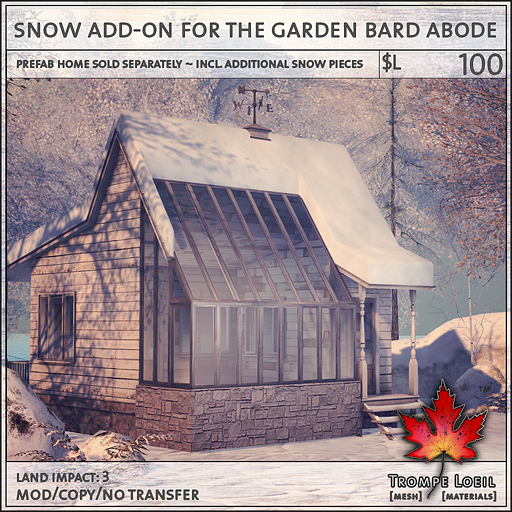 Add the perfect seasonal touch to your favorite Trompe Loeil prefabs from the past year with our exclusive Snow Add-Ons – made to fit perfectly and easy to install! 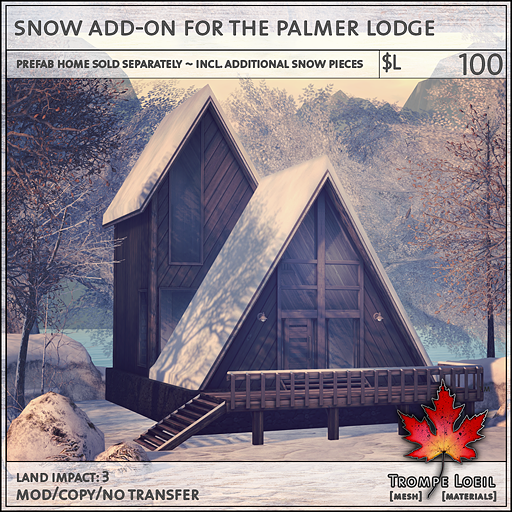 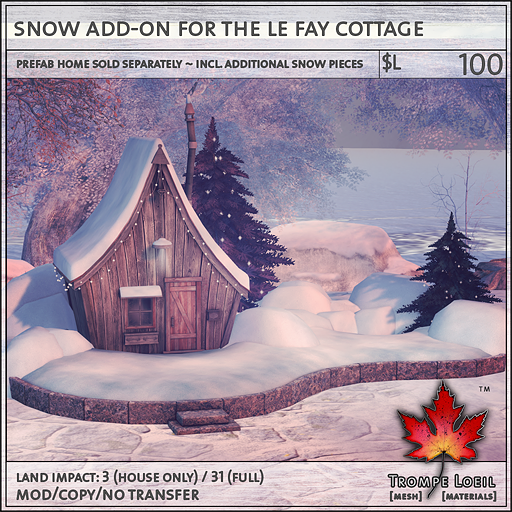 Nine of our most popular prefabs from 2015 have their own Snow Add-On packages. 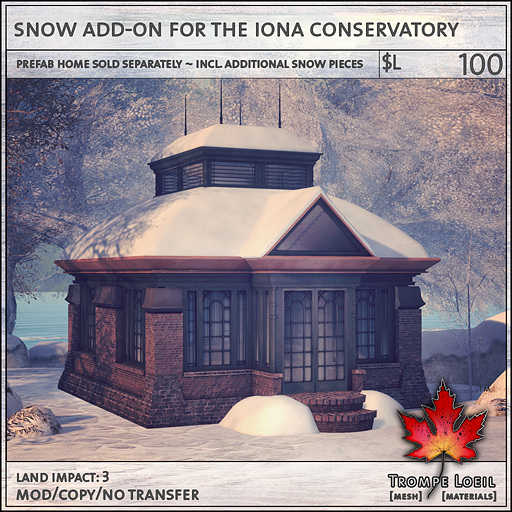 Available inside the Mainstore, by the inworld display models, and on the Marketplace!